On this Day of National Mourning in honor of George H.W. Bush’passing, Donald Trump couldn’t help himself as he learned that he wasn’t the center of attention. So he took to Twitter to post an homage to himself in the form of a meme that boasted about his approval rating. Unfortunately, it was from a poll by the worst, most biased pollster in America, Rasmussen. Nothing is more predictable from Donald Trump than his knee-jerk tributes to himself and any “positive” news regarding him. Unfortunately, given his penchant for screw ups, gaffes, and policies that are roundly rejected by most Americans, he has precious few opportunities to boast. 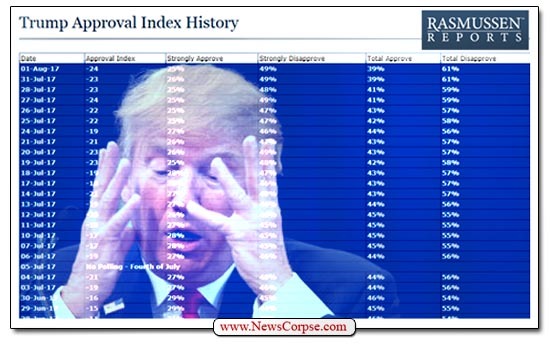 But that doesn’t stop him from doing it anyway, even when the news is bad.
.@Rasmussen_Poll just came out at 48% approval rate despite the constant and intense Fake News. Higher than Election Day and higher than President Obama. Rasmussen was one of the most accurate Election Day polls! Rasmussen just came out at 51% Approval despite the Fake News Media. They were one of the three most accurate on Election Day. Just about the most inaccurate were CNN and ABC News/Washington Post, and they haven’t changed (get new pollsters). Much of the media is a Scam! Rasmussen and others have my approval ratings at around 50%, which is higher than Obama, and yet the political pundits love saying my approval ratings are “somewhat low.” They know they are lying when they say it. Turn off the show – FAKE NEWS! Rasmussen just announced that my approval rating jumped to 49%, a far better number than I had in winning the Election, and higher than certain “sacred cows.” Other Trump polls are way up also. So why does the media refuse to write this? Oh well, someday! Trump’s characterization of Rasmussen as an accurate pollster is wildly off the mark. The survey experts at FiveThrityEight give Rasmussen a C+ rating. They rank ABC/Washington Post at A-Plus. And in every case, the numbers celebrated by Trump above declined in the days following his boast. There’s no reason to think that they won’t do the same tomorrow. The competition was fierce. With perennial Fox News favorites like Sean Hannity and Tucker Carlson and the rabidly incoherent “Judge” Jeanine Pirro vying for the title, a longshot contender has emerged from the pack for a clear and unchallenged victory. Congratulations to Lou Dobbs. Charles Hurt, Washington Times: This is the entire problem that all of these people have. 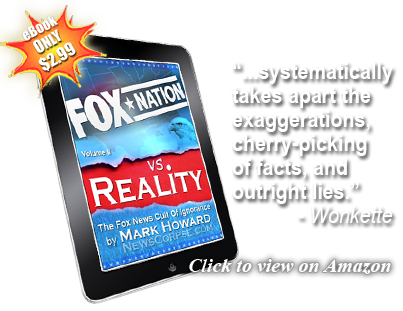 They all have been – have been peddling this fear-mongering, the end of the world nonsense. Dobbs: What in hell is wrong with the American people that they don’t understand this president deserves their support because he is trying to protect their lives and that of their children? […] Why shouldn’t it be frustrating to the American people to see [Trump] assailed every day? You’re watching in Robert Mueller a man trying to kill him. Those damn American people! Somebody needs to put an end to them. 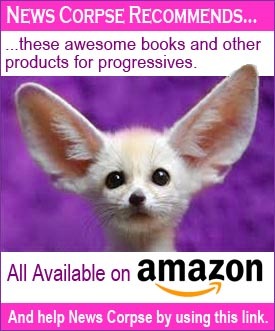 Maybe the U.N. Dobbs also wondered why every preacher and history teacher isn’t talking about this and he ranted that “higher education is indoctrinating American students to become left-wing radicals.” That’s wrong because, according to Dobbs, they should should be indoctrinating those kids to worship Trump the Protector. 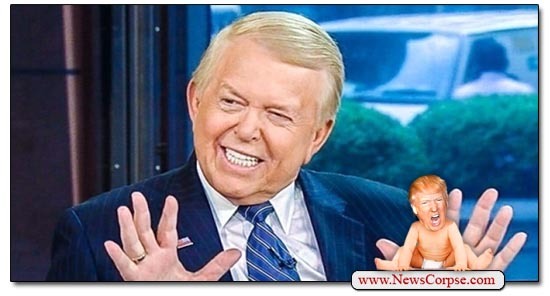 But worst of all, Dobbs has revealed the clandestine plot by the leader of the “Deep State” conspiracy, special counsel Robert Mueller, to actually assassinate the President. Why isn’t anyone else talking about this? Isn’t it obvious that Mueller is maneuvering himself and his “Band of Angry Democrats” (as Trump calls them) into position to shoot his lethal legal filings and deadly facts straight at Trump’s bulbous, yet empty head? Lou Dobbs really does deserve credit for beating out some pretty darn tough competitors for this honor. The “Most Deranged Lunatic” on Fox News was never going to be an easy award to capture. But Dobbs rose to the occasion and he’s entitled to all the of the attention and ridicule that comes with it.